TThe Standard Bank Joy of Jazz is held in Johannesburg each year, and showcases 35 performances on four stages in three days. It’s an initiative that seeks to contribute to social cohesion, economic growth and cultural tourism. The Joy of Jazz Festival presents a diverse range of jazz styles inclusive of the giants of jazz and the upcoming young artists. There is something for everyone in the line-up every year, which is truly inspirational. The show promises to bring audiences some exciting and innovative collaborations this year. 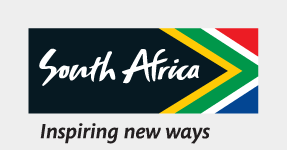 The National Arts Festival is an important event on the South African cultural calendar, and the biggest annual celebration of the arts on the African continent. It has become the home for artists from different corners of the creative world. Whether you are a dancer, musician, painter or a mere art lover, the Grahamstown National Arts Festival is where you belong. From theatre to dance, opera to cabaret, fine art to craft art, classical music to jazz, poetry readings to lectures, every art form imaginable is represented in one of the most diverse festivals in the world. For 11 days every year, the Eastern Cape town of Grahamstown transforms from a sleepy haven of academics, students and entrepreneurs into the heart of South Africa’s arts scene.